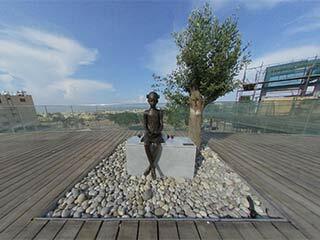 “I want people to talk to each other, to feel something when they see a sculpture and to bring families into spaces, to make our senses work, no matter what the subject is. This is the point of public art,” she said. She added that her goal as an artist was not to decorate a space, but to make a subject speak to the soul of the people. 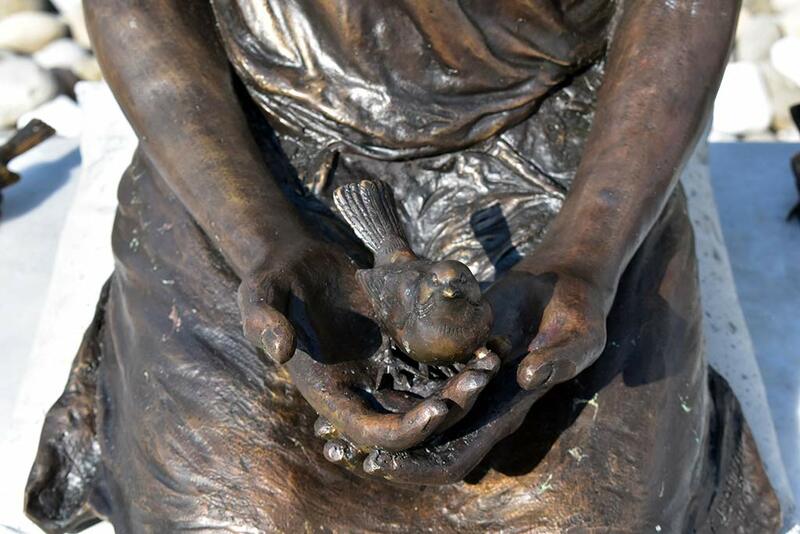 Ioannidou said that the title of the piece refers to the sparrow that has chosen to sit so carefully in the girl’s hand, as she gently holds it. She chose to include sparrows as an integral part of the piece as they fly freely, are not caged and are beautiful. 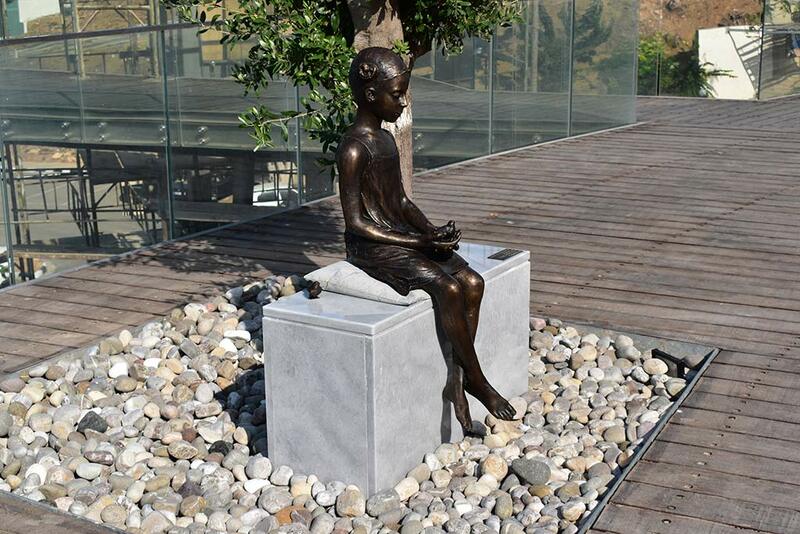 “When we see a child we see hope, the next generation and the future,” she added of the piece. 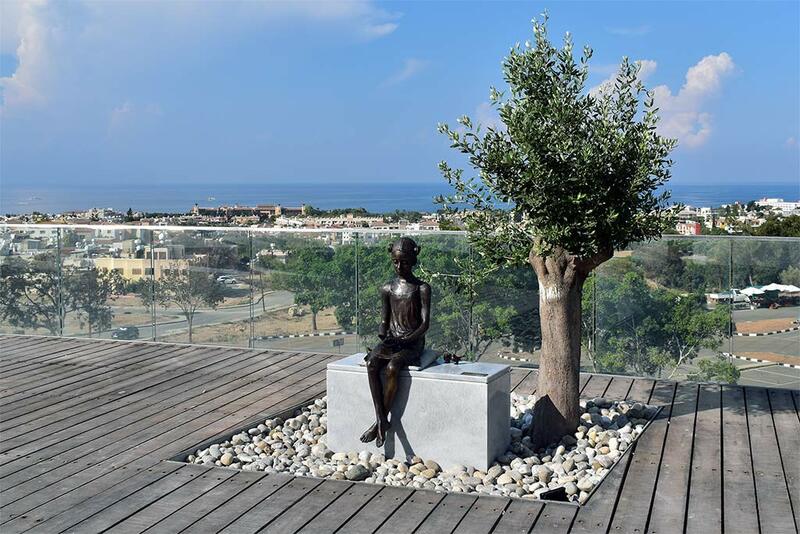 The upgraded square is part of a massive project which has seen millions of euros invested in the centre of Paphos’ old town. The new tree was included in the artists project and replaces a huge ancient tree that was uprooted by terrible storms in the area last year, and couldn’t be saved. I was actually stood here a few weeks ago, taking pictures for our forthcoming website on Old Town Paphos. There was no hint that this was arriving then. So when I heard about the statue I just had to get some more photos, so it could be included in the site. The only problem, was that when I came to photograph this, I also found some other interesting things to photograph. I won't be adding them to the new site just yet though. Originally, it was going to contain about 100 panoramic photographs. But every time I visited Old Town to get the photos, I would find new things to see. Now though, there are over 230 panoramas. Old Town is pretty well mapped out. I'm also incorporating a directory (a subset of the main Paphos LIfe directory) so it will hopefully prove very useful to locals and tourists alike. 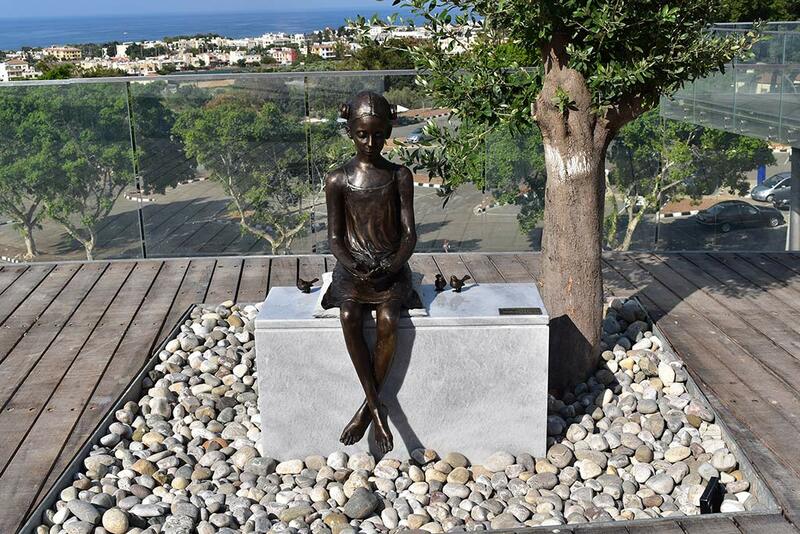 This is only a short, one page blog, to show the new statue. The planned blog on Anadiou will pop up in a day or two. Old Paphos is undergoing a transformation. Not only that, but in a few days time, Paphos 2017 will officially get underway. So we thought we would take a last stroll and a few snaps of the area before the transformation is complete. It's been a few months since we last reported on the progress of the Old Paphos Regeneration Scheme.I had to visit the main Cyta Shop recently, and as I had time to kill I decided to take my camera for a stroll, to see how things were progressing. Autumn was in the air and the skies were fairly grey. There was even some rain at some point. However, the pictures will still hopefully show what a wonderful place Old Town Paphos is becoming. 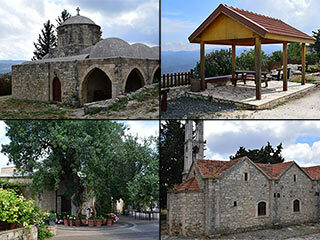 Six months ago we posted a blog optimistically titled "A Last Look at Old Old Paphos". It proved very popular. In fact, with nearly 3000 views, it is our most popular blog to date. Six months down the line, the renovations are still not yet complete. So we thought we would take another look, to see how the work was progressing. 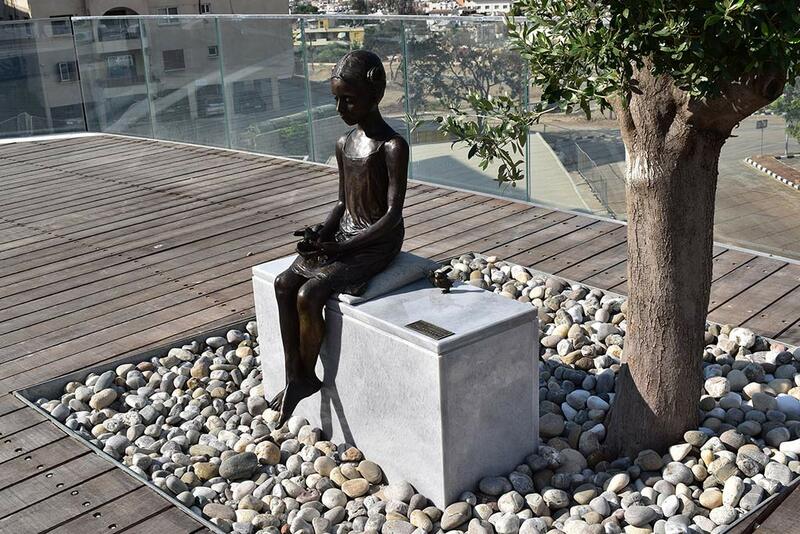 The Girl and the Sparrow is a new statue in the Old Town, by acclaimed Cypriot artist, Yiota Ioannidou. 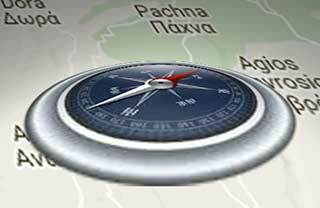 It's location provides a lovely view of Kato Paphos and is a great starting point from which to explore Old Pafos. RESIDENTS of Pissouri whose homes are crumbling due to a landslide, and their supporters, are continuing to press for action and are calling on the state to stop wasting time and to assume responsibility. Partly cloudy weather will soon give way to rains and isolated storms on Friday, with highest temperatures around 20C in lower areas and 9C in the higher mountains. It is back to sunny weather in the evening, when temperatures will drop to 10C in most places and 3C around Troodos where frost may occur.